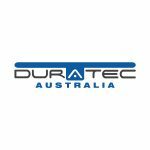 Duratec Australia is a solutions-based contractor specialising in the protection and remediation of steel and concrete structures, and with eleven branches across Australia, we are one of the country’s fastest growing privately owned companies. Since our inception in 2010, Duratec has grown to become a well- respected market leader in asset remediation and protection, with a well-established track record of being re-engaged by our clients on a regular basis. Initially servicing the Western Australian market with branches in Perth, Kalgoorlie and Karratha, we have now grown to include offices in Port Hedland, Darwin, Melbourne, Sydney, Brisbane, Adelaide, Townsville and Tasmania. We specialise across a variety of industries including Defence, Mining, Industrial, Oil and Gas, Marine as well as Government Assets and Commercial Infrastructure. Due to an ever growing portfolio of awarded contracts, we are currently seeking an experienced Project Manager to join our Brisbane Division. Reporting to the State Manager, you will be primarily responsible for managing multiple projects across the division. Moreover, as the Project Manager you will also be responsible for the planning, coordination and controlling of the project from construction through to completion whilst adhering to strict safety conditions. Extensive project management and delivery skills, including budgeting, coordinating work priorities, cost control, stakeholder management, subcontractor management, documentation, statutory approvals, and leading project teams.